Road Tow Firewood processor with Chainsaw cut, 36cm diameter capacity, 8 or 10 ton two speed, unique walking floor infeed, outfeed conveyor. 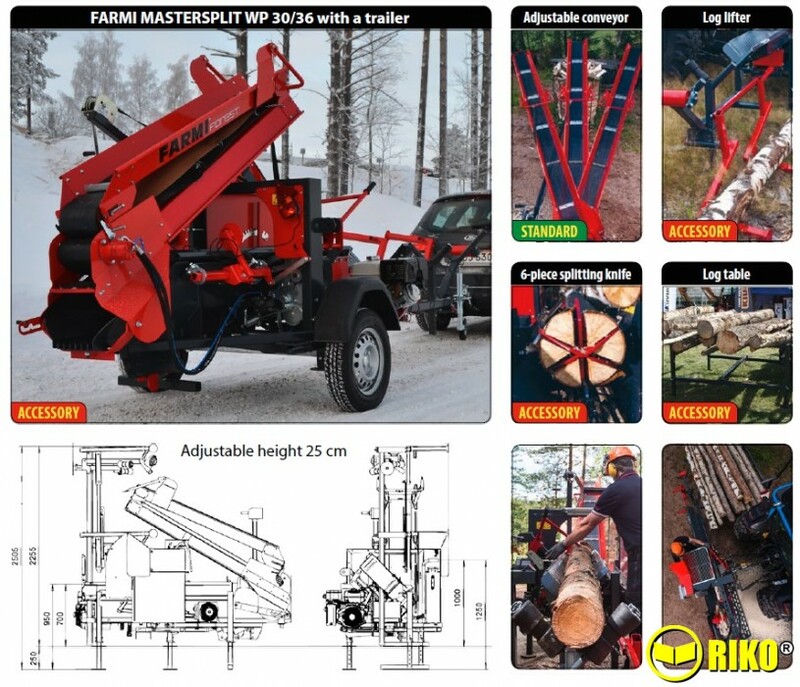 The WP36TR-8-IVA & WP36TR-10-IVA are the road tow version of the renowned WP36 Firewood Processors. 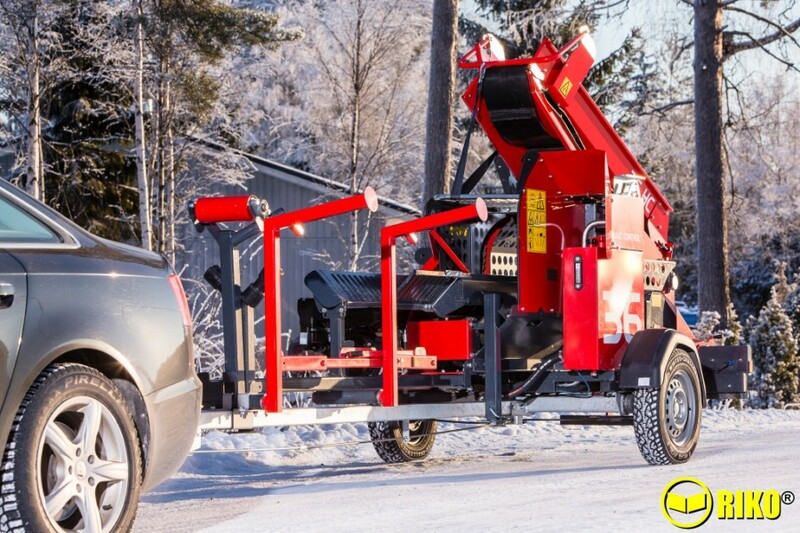 They have all the same features of the standard WP36 Firewood Processor but are mounted on a braked axle and come with full IVA approval. They have a 13hp Honda petrol engine as well as the standard tractor PTO drive so they can still be powered by a tractor PTO. There are no drive belts and pulley’s and they are fully mechanical so there is not a single electrical component on the processor. The optional timber lifter makes them self-loading and it will lift 3 to 4 meter long timber from the ground onto the processing bed. The timber is then fed through to the cutting area with the unique walking floor infeed. This is ‘V’ shaped so it grips the timber during feeding and cutting, so there is almost no need to grip the timber whilst cutting. The log length can be set from 15cm up to 60cm. The chainsaw then cuts the timber and the log drops a very short distance into the splitting chamber. Depending on the model they have 8 ton or 10 ton two speed splitting whic pushes the log through the splitting blade. This is 2-4 way as standard and is adjustable in height. The blade can be exchanged for a 6 way even 8 way blade. Once split the logs are carried up a 4 meter long, hydraulic conveyor belt. 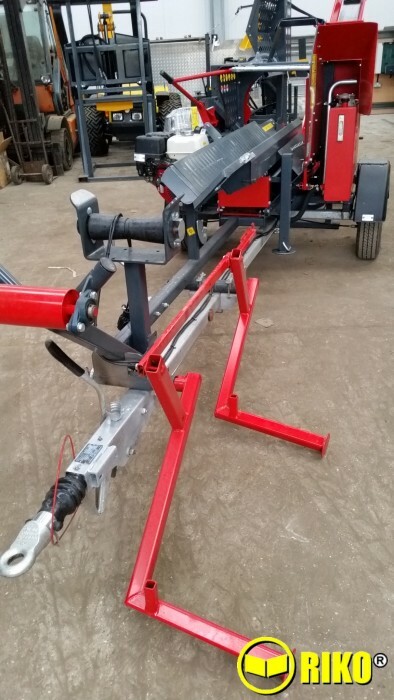 The belt is rubber and has grip bars spaced to give an even flow of logs up the conveyor. 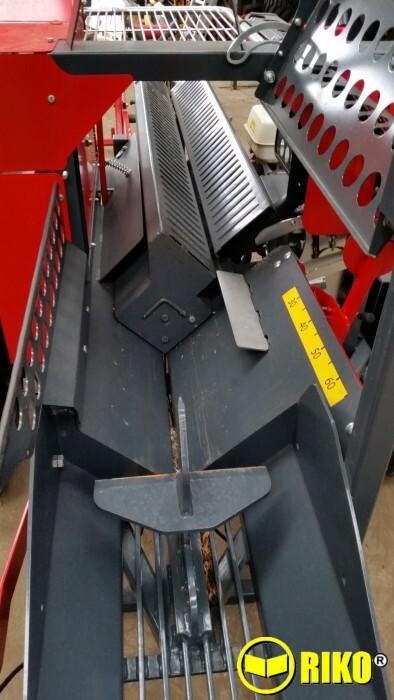 For easy transport the outfeed conveyor folds in half over the main machine.